I have a mission in life right now and it is for my entire calculus class to get the equation of the tangent line problem right on the AP test…it drives me nuts that some of them do that problem wrong EVERY TIME no matter how much I talk about it! So, I came up with the idea of a class challenge. This can really be applied to any math class, but it seems especially appropriate for an AP class. 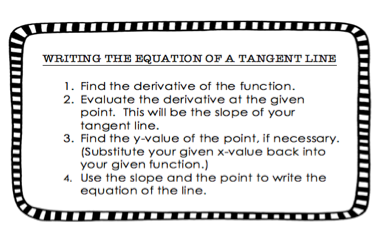 Find the equation of the tangent line to the curve y = (3x-2)^2 at the point where x = 0. The next day, the kids really wanted to know if they got the extra credit…they definitely didn't - at least 4 kids got the question wrong. I wondered if the ones that got it wrong would admit it, or just keep it to themselves. It seemed to me, as I looked around the room, that the kids that got the question wrong knew it, and looked kind of sheepish about it. A couple of them admitted it themselves, but it wasn't something that I shared. I didn't tell the class who got it wrong or how many students got it wrong. But, I'm definitely going to try this again in a couple of days. 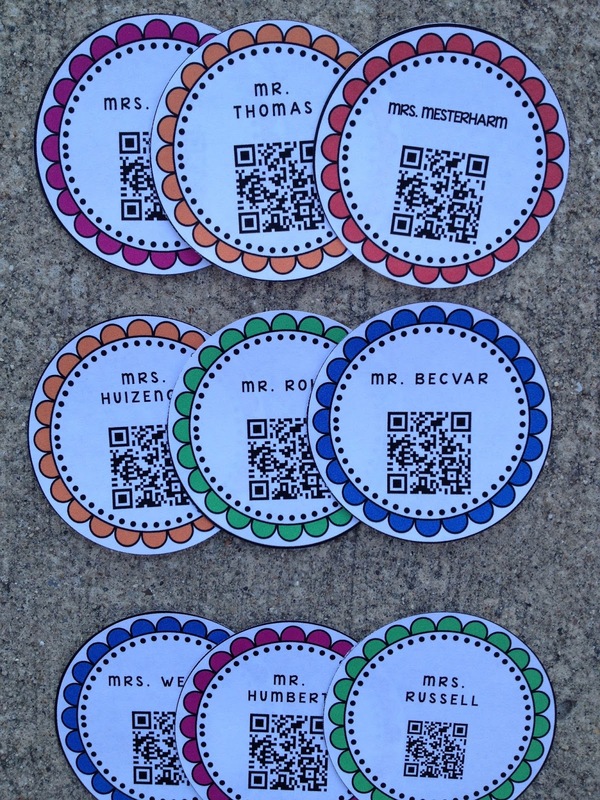 I am hopeful that the class will be getting their bonus points soon! Once we accomplish this task, we will move on to another type of problem. Like maybe a tricky limit question that is actually a derivative in disguise. I feel like this could be applied to other classes too, but I suppose you have to be careful. I wouldn't want any students blamed for messing up everyone's extra credit. 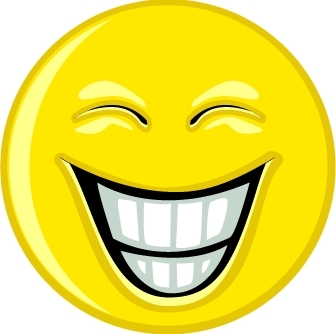 However, in my class, the kids have all been together in honors math for awhile, and seem fine with it. We'll see how it goes! Huge Sale at Teachers Pay Teachers! Now that Thanksgiving is over, it's time to turn our minds to shopping! Teachers Pay Teachers is having a big sale on Monday and Tuesday. Each seller has the option of putting their own store on sale and the TPT is giving an additional 10% off if you use the code CYBER. I put my entire store on sale for 20% off - here is a link to my store if you are interested! 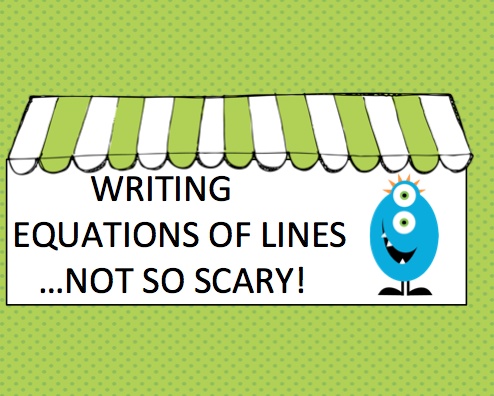 Teaching Slope and Equations of Lines - Fun! 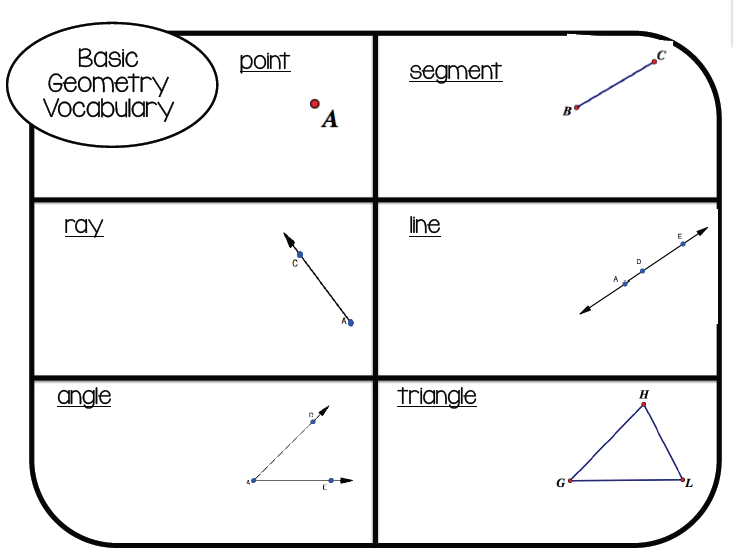 Teaching slope and writing equations of lines is REALLY IMPORTANT! 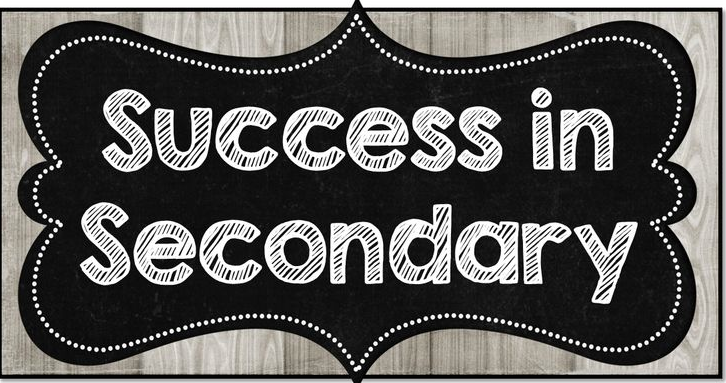 I tell my students that no matter how much you wish this topic would just go away, it will be with you throughout all of the rest of your math classes. 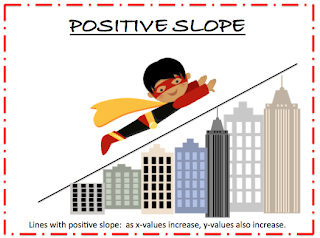 Students need to have a solid understanding of slope, y-intercept, parallel lines, perpendicular lines, and writing equations of lines in order to be successful in calculus. 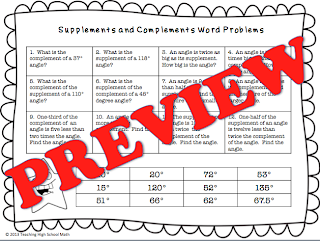 Here are a few ideas and activities I have found that I think will allow students to practice these ideas without boring worksheets. This is a link to slope posters that I have in my TPT store that uses cute superhero graphics to show the different types of slope. 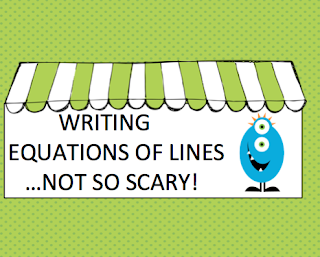 This is a presentation that presents information about finding the slope and y-intercept of a line from a graph with fun monster graphics. 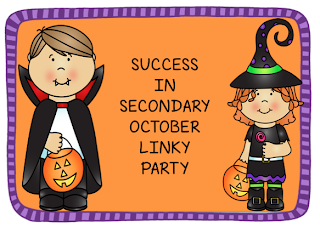 This is a link to Monster Power Point Presentation in my TPT store. 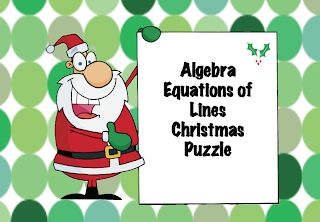 This is a puzzle that you could use at the end of your unit on writing equations of lines. Students solve 22 questions and then match their answers to form the answer to a funny Christmas riddle. The next number is generated by adding the two previous numbers together. There is so much to study and learn and wonder about when thinking about the Fibonacci sequence. 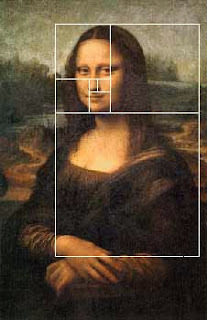 It leads us right to the golden ratio and to wonder about things such as DaVinci's Mona Lisa and the pyramids in Egypt. 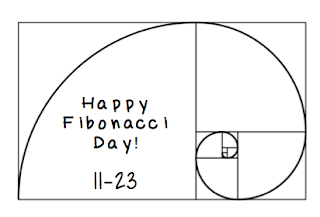 So the question is, why is it Fibonacci Day today? 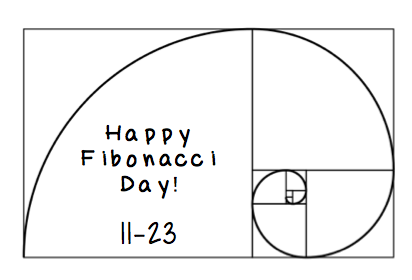 Well, it is 11-23 of course - the first four numbers of the Fibonacci sequence! I love teaching the students about things like this that aren't easily placed into the curriculum. 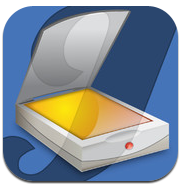 Do you know of any good resources that I can use in my classroom? 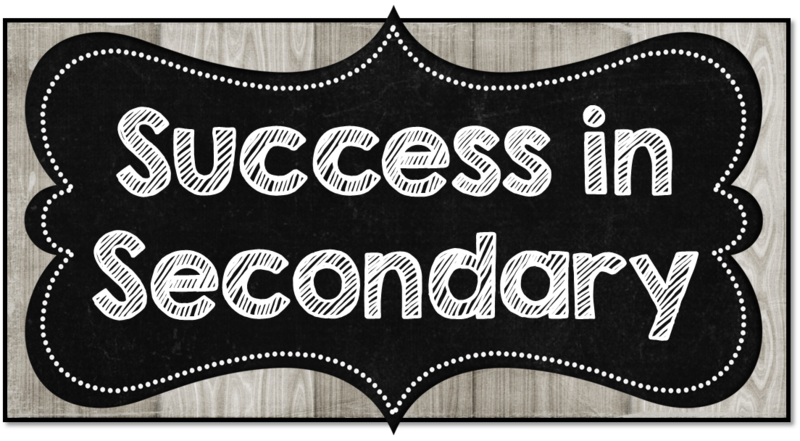 It's time once again to link up your favorite Secondary (grades 6 - 12) activities! You can link up to 2 paid and 1 free activity. 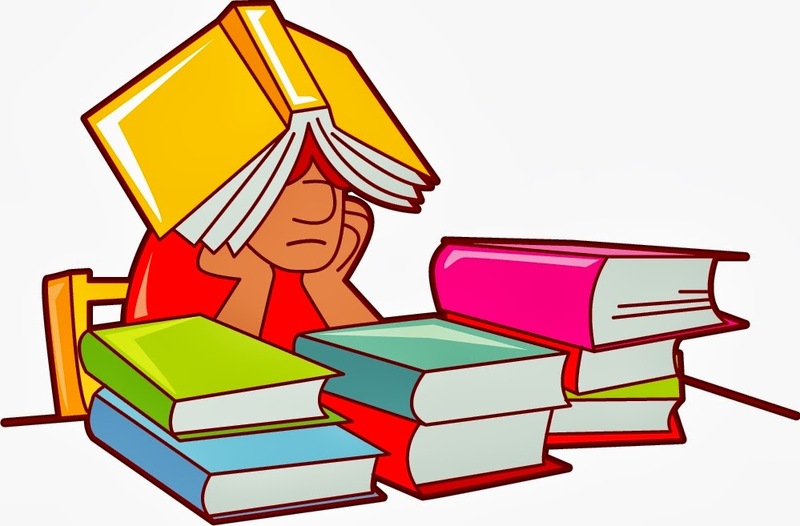 1) Be Neat and Organized - If the teacher gives notes and examples on a specific topic copy them down or organize them in a binder or notebook. It would probably be helpful to date them when you get them. If you have a textbook that has section numbers, label your notes with the section numbers. 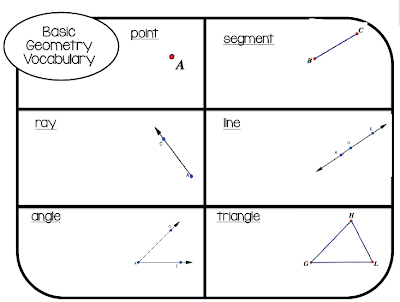 2) Review the vocabulary - I always tell my geometry class - I'm never going to ask you to define a word, but you have to know what the words mean to answer the questions. 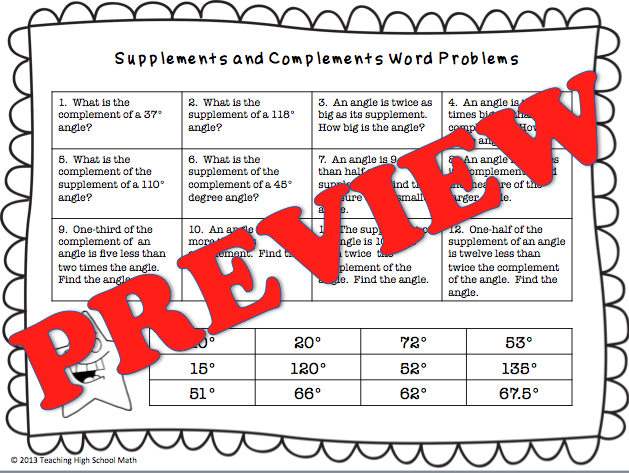 3) Review examples - Surely the teacher has given some example of problems that will be on the test. Go over them. 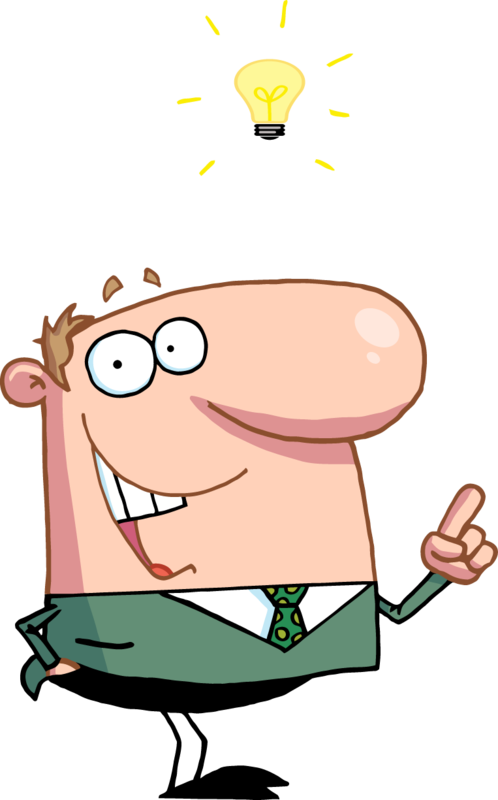 4) DO examples - One of the biggest messages I try to give my students is you have to DO PROBLEMS. You can't just watch the teacher do them and you can't just look them over. You have to try the problems yourself. I suggest that they have their mom or dad rewrite some problems (that they have the answers to) on another sheet of paper. 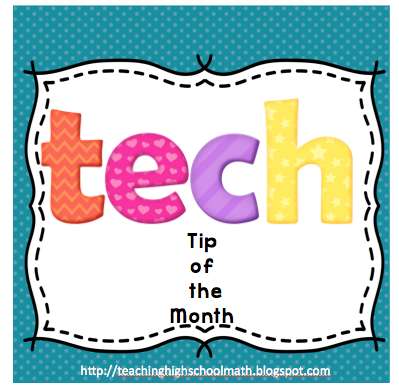 Students should try to work the problems completely without looking at either the written out solution or the answer. Only after they are finished should they check. 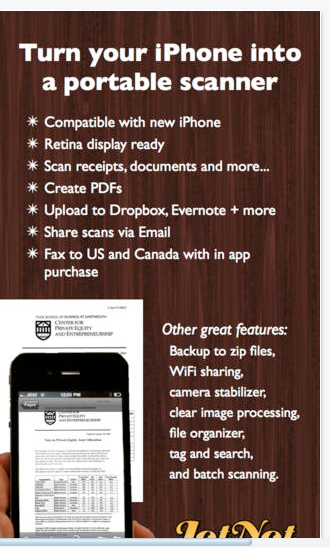 Incidentally, I feel that Task Cards with QR Codes can really help in this respect. 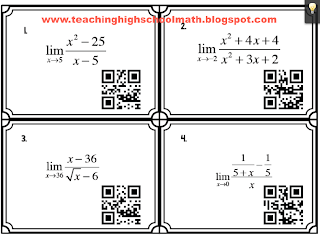 Students have the answers to the given problems, but they can't see the answers until they actually scan the code. 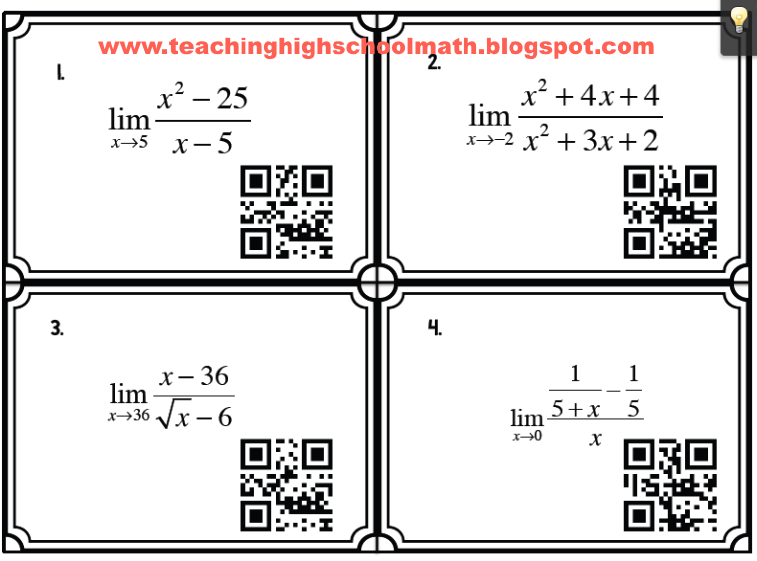 (See examples of my QR Code Algebra Bundle here). 4) Read directions - When you get the test, be sure you read the directions carefully. 6) Don't Answer a Question that Isn't Asked - This one is mostly for my calculus class because they have to be really careful on the free response questions on the AP Exam. If the test asks to tell where a function is increasing, don't tell where it is decreasing too...it just increases you chances of making a mistake! 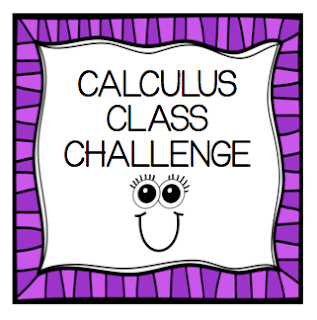 What are you doing for Halloween in your math classroom? In middle and high school, we know the kids still want to celebrate Halloween, but they probably don't get to with a fun parade or a party! 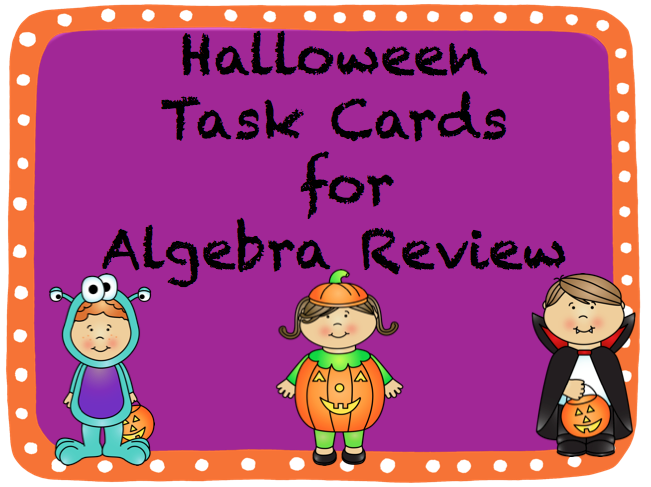 So, maybe we can celebrate in math class with fun Halloween problems or a game! One thing I have found that kids like to do is get up and move around the room. If you shop at Target or Michaels, you might have noticed the fun foam shapes that they have for almost every holiday. Sometimes they have them in the dollar spot, but this time I found a package of 35 pumpkins in the art section for $5. They are two different colors. Ideally, I like to play some kind of matching game with these. I put problems on each pumpkin and then have the students find their match. 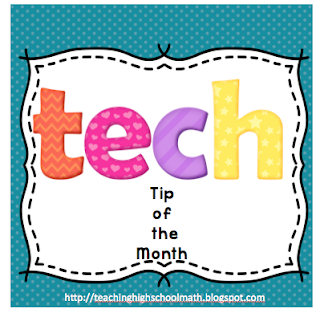 The trick is figuring out something you can match so that each student has to do some kind of work. For example, giving some students something to factor and some students something to multiply using FOIL works well because both students have to do some work. (I used this last year for Valentine's Day - see it in my store Valentine's Day Factoring Activity). Solving equations doesn't work so well because some students just sit there with a number on their pumpkin - they don't have to do anything. 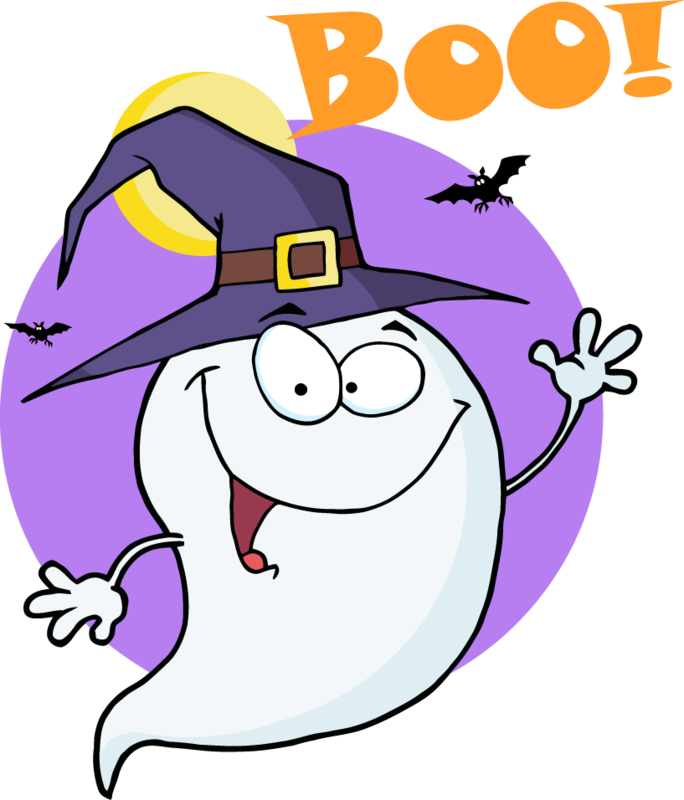 This Halloween, I think I am going to do a graphing matching activity. Some students will have an equation, some students will have a graph, and some students will have to write the equation of a line given a slope and a point. They will find their 2 partners. It is easiest if you can write right on the fun foam with a sharpie. That worked for my Valentine's activity, but I don't think it will work so well for graphing - at least for the graphs. So, I think I will print those out and then attach to the fun foam with glue dots. 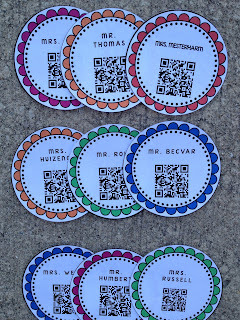 If you aren't up for this matching activity, here is another activity you could try from my Teachers Pay Teachers Store. 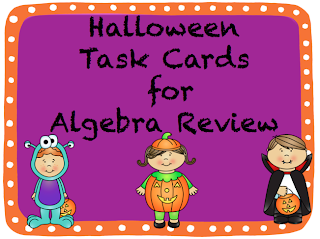 This set has a total of 40 task cards that can be used for students to review algebra skills. Each card has an adorable graphic on it from either Whimsy Clips or Dots of Fun. 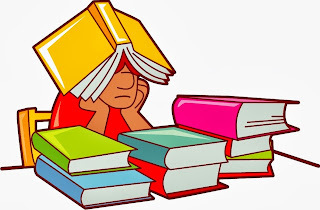 There are 10 different topics covered and 4 questions on each topic. 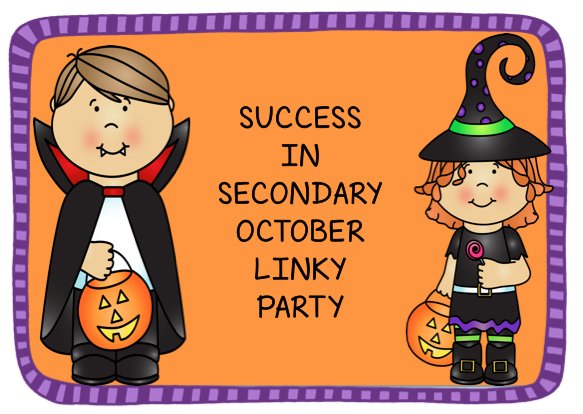 It's time for the October Success in Secondary Linky Party! It's starting to get cold here in the midwest - I was actually cold at school today. Do you remember during the summer when you didn't think you would ever be cold again??? My kids and I are making the final decisions on their Halloween costumes - my 4 year old keeps changing her mind. I hope we can agree on something when Halloween actually gets here! 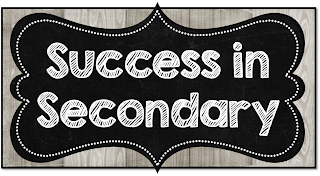 Anyway, it's time to link up your favorite 3 secondary activities - link up to two paid and one free item. Congratulations to the winner of my One Year Anniversary giveaway! 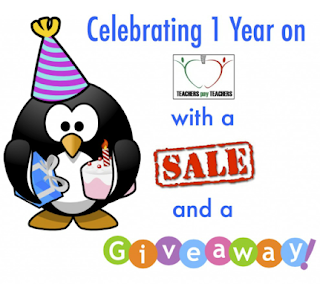 Celebrating One Year on TPT! October is my one year anniversary on Teachers Pay Teachers! Can't believe that it has been a year since I read an article online about Deanna Jump and thought to myself - hey I wonder if I can do that! Also, join my friend Kristen Dembroski - she also is having a sale in her store and a giveaway on her blog! 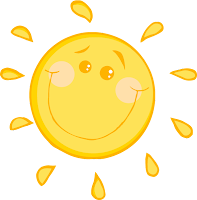 She has the cutest graphic for sure! 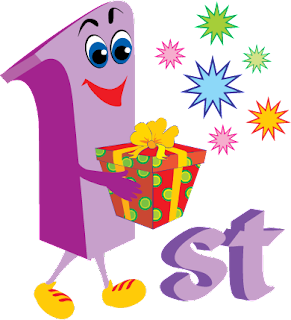 I am also celebrating with a giveaway - enter below and win a $10 gift certificate to Teachers Pay Teachers!